Astrology illuminates the energetic weather forecast of our lives that are based on planetary alignments and aspects. 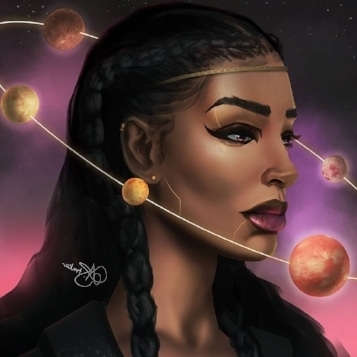 These planetary aspects are the energetic blueprint of our lives constructed from the date of our birth affecting our present day energies and beyond. To be aware of these energies are vital gems in recognizing our highest potentials and illuminating the challenges that we all face in order for you to live out your best light. Schedule your session by submitting the time that works for you and you will be sent a personal email for the time to schedule your reading along with submitting birthtime information for an accurate reading. "This was my first astrology reading. I'm so glad it was with Dondy! She called me up and we talked like long lost friends. Dondy was really good at explaining how an astrology reading works and how the houses interact with the planets and the zodiac signs. She doesn't talk AT you, she talks WITH you. Her spirit and energy is so genuine and I loved hearing the passion and warmth in her voice as she happily answered my gazillion questions and reiterated things that I did not understand. YOU MUST DO A READING WITH HER!" "It was such a pleasure and comfortable experience having my very first reading with Dondy. I came looking for some insight about the next 3-12 months. Mostly concerned about career and love. I use tarot and astrology as an intuition check. And my hour with Dondy provided just that. My intuition is pretty dead on but if you're someone like me who has a hard time landing on one final decision (aka worrying, aka being pulled back by fear) - these types of spirit tools are super helpful to help move you forward. Purchasing my Love Compatible reading as we speak! Love to Dondy and all those that may find themselves here - may her readings bring you a glimmer of light."